January 6th is National Cuddle Up Day. Tell your cat! The month of January usually contains some of the coldest days of the entire year, which is exactly what inspired National Cuddle Up Day! 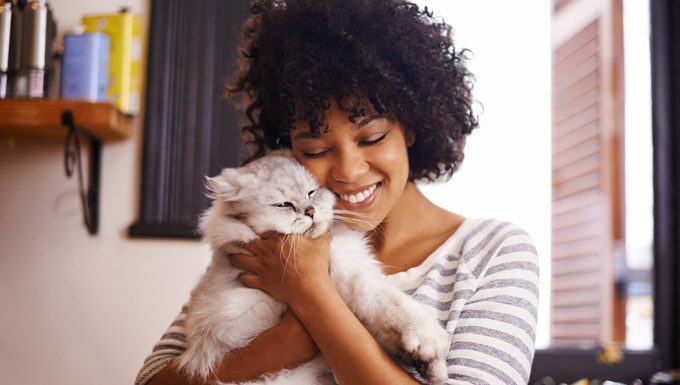 There are so many benefits to cuddling up with a human or pet! Cuddling triggers the release of the hormone oxytocin into your body, a hormone that has huge benefits ranging from fighting depression to reducing physical pain. If you’re tired, cranky, and aching from the long holiday season, National Cuddle Up Day is the perfect way to help heal your body and your soul. 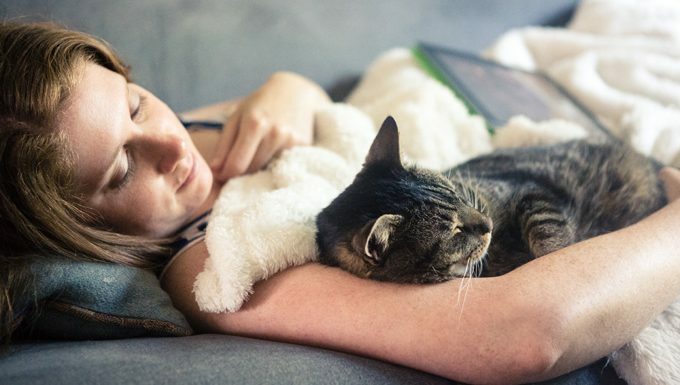 If your New Year’s resolution was to de-stress, get healthy, or stop screaming, then Cuddle Up day is a perfect way to help you reach your goals and who better to cuddle up with than your cat? Cats are cuddle masters. Let them show you how it’s done. 1. Select a cozy spot for you and kitty. Maybe your feline already has one staked out, like a squishy couch, or your bed bathed in afternoon sun. Or like my cat, Sister, face first in the space heater. Mmm, cozy hot face. 2. Prepare the cuddle zone. Pillows, blankies, cat toys, treats, magazines, books, tablets. My cat Betsy loves the white blanket, but Tiger prefers fuzzy blanket. I’m not sure which cat you’re cuddling out there, but select the right blankie. It’s critical. 3. Make sure you have your “nip” of choice. Maybe a nice warm cup of cocoa? A bowl of almonds? Caramel popcorn? That’s cuddle fuel! 4. Plan to not move. It’s important that all your stuff is in arm’s reach because nothing ruins a cuddle session more than having to get up to answer your phone or get more popcorn. Have everything there and so you won’t have to move. If your cat is nowhere to be seen, shake the treat bag or bust out the cat nip and lure kitty into the cuddle zone. Stretch out on the couch with your blankie and get that cat to come up on your lap. Pet that cat. Feel the stress melt away. Get hypnotized into total cat relaxation. 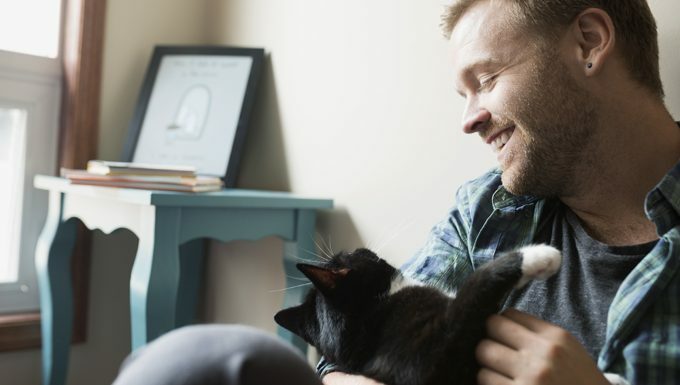 Some say purring can heal pain and even help mend broken bones and hearts. You’re basically visiting a doctor and psychologist for free, so pet that fur like your life depends on it. You’re gonna need to stay hydrated. Cats are long distance stamina cuddlers. You could be in the cuddle zone for hours. It’s important to stay hydrated. That’s about all you need to create the ultimate cuddle zone and party. So purr it up! 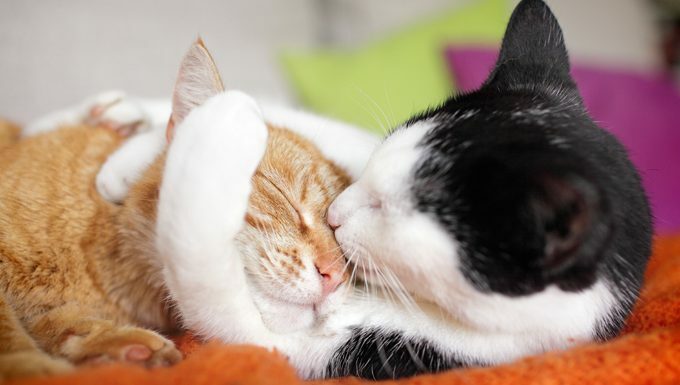 Are you planning to snuggle with your kitty for National Cuddle Up Day? Let us know in the comments below!